About 2019 Honorary Mayor Candidate Jennifer (Freitas) Carter I am a lifelong resident of Middleborough, Massachusetts. I was born in 1980 at Morton Hospital, the first child of Pat (Salley) Freitas and Joseph F. Freitas, Jr. As a child, my siblings, Jon, Jamie and I benefitted from Middleborough’s many youth programs, including the Park Department programs, Scouts, Youth Sports and 4-H. I graduated from Middleborough High School in 1998, and attended The Pennsylvania State University, where I received my Bachelors of Science in Nutrition with High Honors. I also earned my Masters of Science in Clinical Nutrition from Tufts University. I have been practicing as a Registered Dietitian for 15 years. I currently practice as a Dietitian and Certified Diabetes Educator at Hawthorn Medical in North Dartmouth, MA. In 2005, my husband, Paul Carter and I were married along the Nemasket River in Middleborough, in the same spot where my parents were married in 1979. Paul and I are the proud parents of three beautiful children, Andrew (age 8) Adeline (age 6) and Amelia (age 3). Our children attend Middleborough Public schools, and keep us active and involved in the school community, as well as with many community organizations, including Little League, Youth Softball, Boy Scouts, and East Middleboro 4-H. I decided to run for Honorary Mayor of Middleborough to honor my Dad, Joe Freitas, who passed away unexpectedly on December 10, 2018. Joe grew up in Middleborough and lived on his family’s farm on Vaughan Street for 72 years. He was a graduate of the Middleborough High School class of 1964. He loved this town, and was an active and vocal citizen. 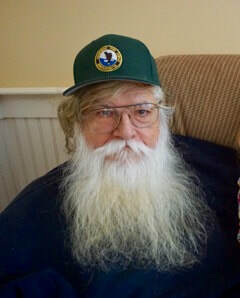 Joe was a founding member of Middleborough Gas & Electric Board of Commissioners, and he served on a variety of town boards and committees for a span of nearly 40-years, including the Planning Board, the Zoning Board of Appeals, the Historical Commission, the Business & Industrial Commission, the Nemasket River Advisory Committee, the Assawompsett Pond Complex Committee and the Plymouth County Conservation District. He advocated for the town’s purchase of both Soule Farm and Pratt Farm, and he was a pivotal player in the relocation of the Robbin’s Museum of Archaeology from Attleboro to Middleborough. I have fond memories of time spent at the Pratt Farm Fall Festival and Soule Farm during Dad’s volunteer work there, and of volunteering with him on Middleborough’s 325th Anniversary Celebration Committee in the summer of 1994. I remember countless weekends spent with Dad at the Robbins Museum, and many nights at town hall or the high school auditorium for town meetings. In my opinion, there is no one more deserving of this honor than Joe Freitas. Middleborough is a better place because of his service. Joe will be buried at the Wappanucket Cemetery on Vaughan Street in the spring of 2019, alongside both his parents and his brother David. When my Dad was growing up in town, Middleborough was a farming community. He used to joke, that when he was a kid, there were more cows than people. Our town has changed immensely since that time. Many farms have been turned into housing developments and there is only one remaining dairy farm. For Dad, it was important that future generations understood Middleborough’s past, including it’s farming heritage.East Middleboro 4-H is an organization that helps foster our community’s farming history for future generations. The organization supports many agricultural-based clubs, including clubs for livestock, poultry, rabbits, dogs, homesteading, gardening, as well as clubs for crafting, cooking and more. As a child, I was fortunate to participate in several of the East Middleboro 4-H clubs, including clubs for crafting, sewing and baking. I always looked forward to Labor Day weekend, when the club held it’s annual fair. Now my son, Andrew, is a member of the East Middleboro’s Fowl Play chicken club, and we, again, look forward to 4-H fair weekend. This year, the East Middleboro 4-H club will host it’s 70th Annual 4-H fair on Labor Day weekend. Local 4-H members will gather to showcase what they have accomplished during the year, from showing their animals to displaying their static exhibits. The fair is also a fundraiser, with all proceeds going directly to East Middleboro 4-H activities. I hope you will join my family and I at the fair this Labor Day weekend!